Upgrade your patients’ comfort and satisfaction with better quality healthcare gowns only from Medico! Medico Professional Linen Service combines winning linen care technology with exceptional product selection to bring you patient gowns and healthcare gowns that will surely bring your patient care success to the next level. We have a full range of healthcare gown designs suitable for use in different healthcare settings and procedures. Medico healthcare gowns are handpicked for their topnotch quality, durability, and optimum wearer comfort. Our more than eight decades in the business have taught us that patient satisfaction and comfort should come first at all times. So, we have made sure that our products cater to those needs, no matter how diverse or specific that may be. 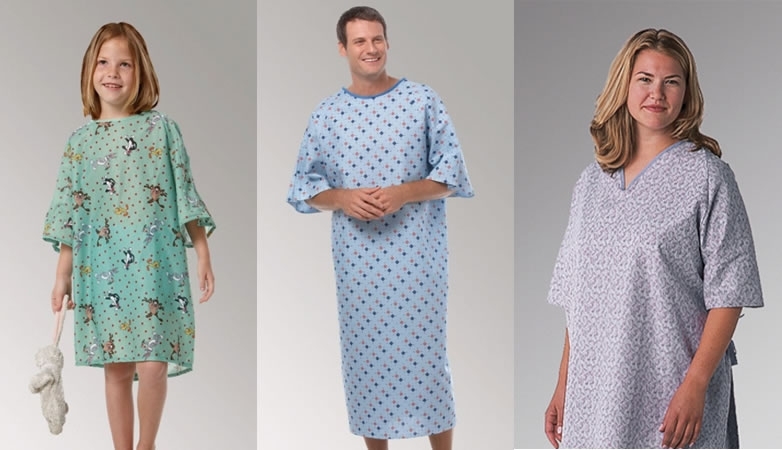 Medico’s selection of healthcare gowns is suitable for use in different medical settings – hospitals, medical practices, surgery rooms, examination rooms, and come in regular, large, and pediatric sizes to accommodate all of your patient gown needs. Medico’s winning formula has always been precision. We use precision linen care technology to ensure that your garments arrive clean and safe to use, earning us our industry qualifications including HLAC and Hygienically Clean. With Medico, you and your patients can rest assured that your garments have been treated and handled with adequate safeguards against cross-contamination. All of our garments are also pre-equipped with innovative radio frequency identification (RFID) chips to keep track of each garment in every step of the process – from pickup to laundry to delivery. This leads to fewer losses, easier inventory, and accurate billing. With our cutting-edge technology and a dedicated team of experts handling every part of our process, you can rest assured that your medical linens are in the best hands with Medico. Explore our healthcare gowns and other medical apparel options today! Call us at 800.464.6334 to speak with our consultants and learn more about what we can do for you. Proudly serving medical linen and uniform needs in the Los Angeles greater area since 1932.